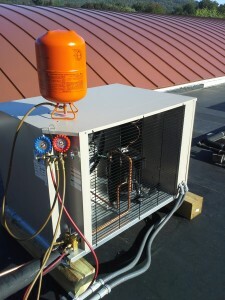 Precision Temperature Control, Inc. installs and services all types of commercial refrigeration units. We specialize in walk-in coolers and freezers as well as reach in coolers and freezers. Whether your business is a school, deli or grocery store, you can be assured that it will be done right. Hoshizaki, Manitowoc, Scotsman, Cornelius, etc. Copyright © 2019 Precision Temperature Control, Inc.